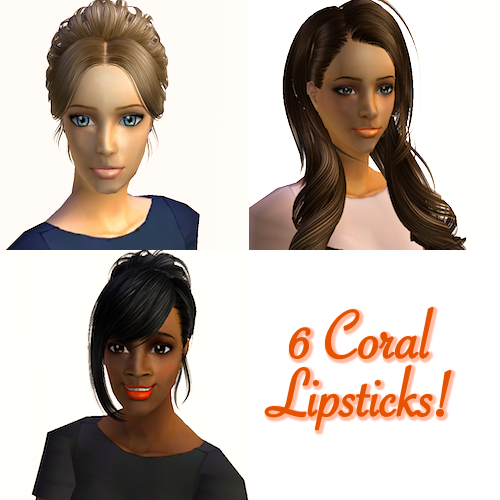 This morning I created a set of lipsticks, all of which are a lovely pink/orange tone. They are great on any sim with any skin colour! There are six colours and details of each can be found by clicking "Read more..."